I’m forever kicking around the junk cupboard looking for a suitable vase for fresh cut flowers. These mirrored glass jars by Atta Girl Says are an easy DIY addition to your collection. 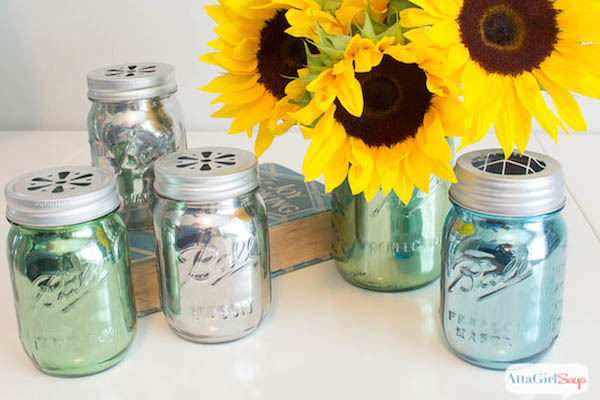 With mirrored spray paint, you can turn simple mason jars into stunning centerpieces. Be sure to read Atta Girl’s whole post because there are some tips on how to keep the paint fresh (like using inserts so that liquids don't come in to contact with the finished product). So shiny! Make a darn good cup of coffee with no electricity required! 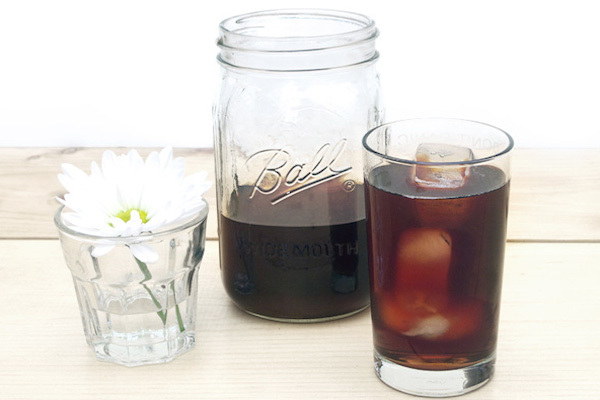 Who knew a mason jar could save your morning? Or be the hero of a camping trip? Make a batch of too-cool brew ahead of time using tips from The Zen of Making. Coarsely ground coffee, a coffee filter (or tea diffuser) and water are all you'll need to whip up batch after batch. Mason jar as organization hack = not a novel idea. 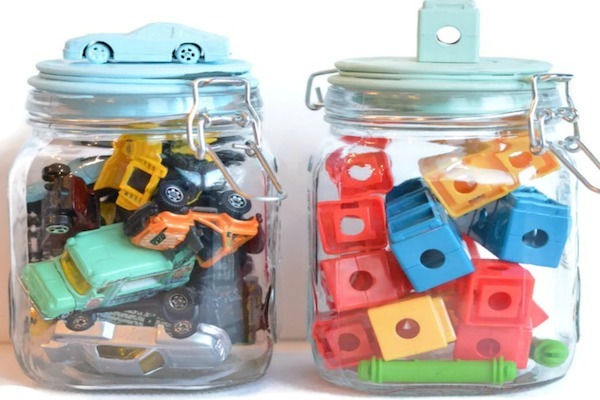 But these painted toy jars by A Night Owl Blog are novel-all-over, and help keep cars with cars and blocks with blocks. A sweetly painted toy affixed to the lid helps kids play matchy-match (AKA cleaning up after themselves!). Score! The Gunny Sack sure knows their stuff when it comes to gifting. 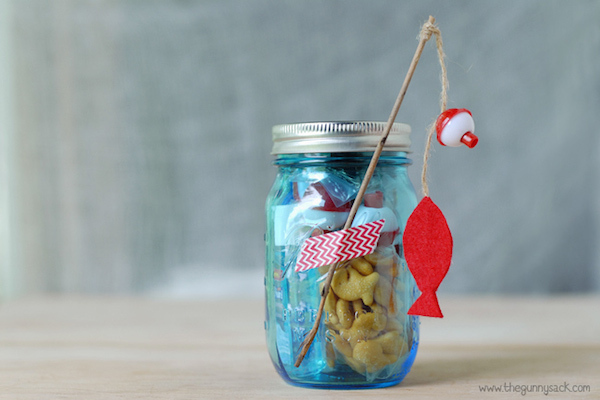 A mason-jar-turned-fishing-day is destined to be a party favor or summer birthday gift. The jar is packed with everything from lures, to lines to poles (and snacks for a long day on the lake). Head over to the full post to see what fits inside. 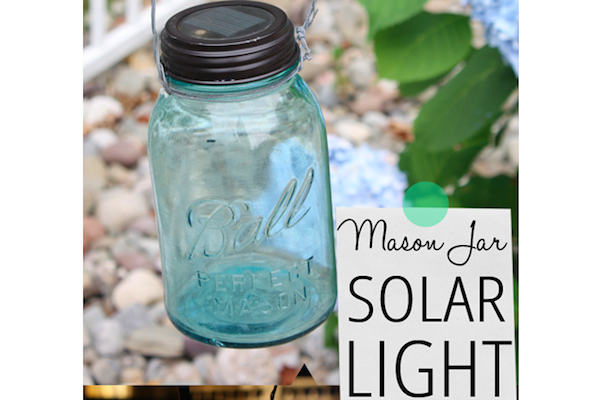 Your garden is about to get a whole lot cuter with this idea for solar mason jars by Finding Home. Swap out the metal lid for one with some serious solar power (who knew these existed, and why didn’t I have the idea first?) and mix in some tinted jars for some summer color. 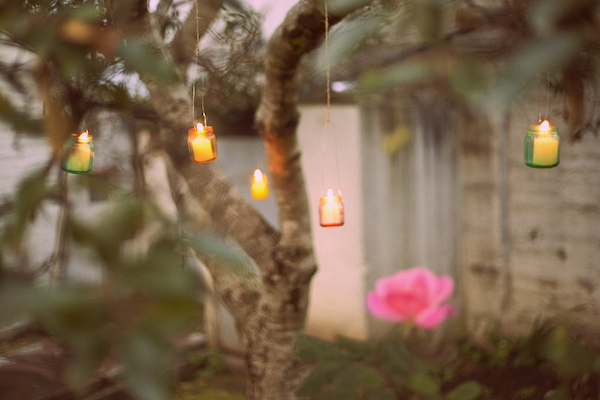 Hang them about the garden, line ‘em up around the deck, or light up a walkway. 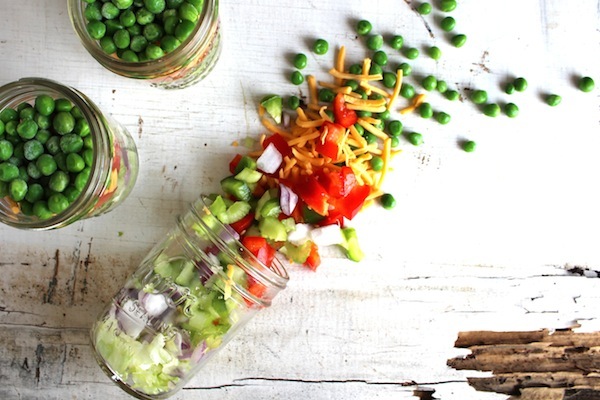 Have you seen the genius idea for packing salads in mason jars? Seems like people are pinning and tagging their version of #notaboringlunch everywhere. Any mix of toppings works really, but this version by The Chic Site features peas, carrots, celery, and more in a seven-layer tower of tastiness. Getting the layering right in these things is key: the mayo or dressing should be on the top or bottom and your other ingredients stacked tightly on either side. 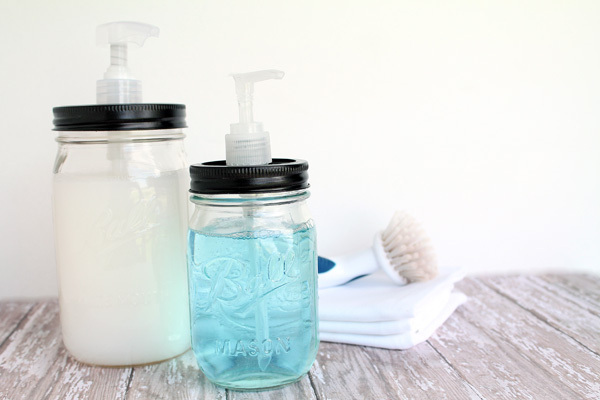 Wow all of your guest bathroom visitors with this DIY mason jar soap dispenser set by Love Grows Wild. The full post shows you how to construct the vintage look with an old soap-bottle pump, a mason jar with a lid, spray paint and some glue. One-up those boring store-bought sets with a little farmhouse charm. Now you’ve got the practice to finally build that chicken coop. It seems every inspiration board has some version of a DIY candle that I just can’t support. The dipping, waiting time and fragrance-mixing will probably just lead to a mess I’m not prepared for. 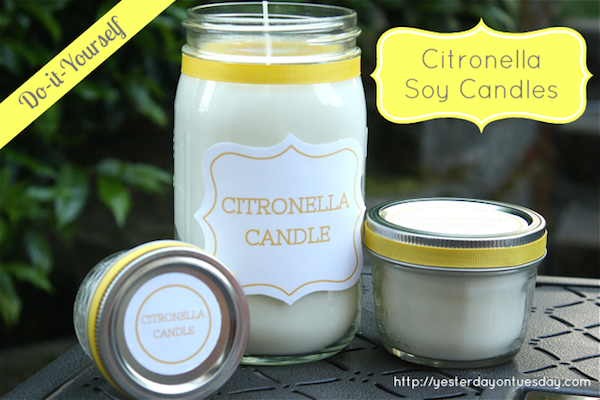 This citronella-soy candle by Yesterday On Tuesday makes me forget about my fears with a step-by-step guide for each step and encouragement along the way. Plus, the candles keep away mosquitoes and other summer critters for an itch-free barbecue experience. This is the only post you’ll need to bookmark as a DIY candle reference. Just what can you do with those stubby mini-mason jars? 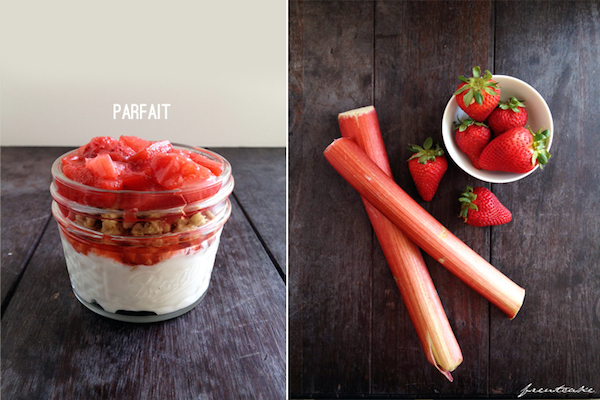 Freutcake offers up a delicious idea for rhubarb-strawberry parfaits made with creamy Greek yogurt and granola. The compote recipe included in the post is just the thing to fill your tummy (or your kids' bellies) on a summer morning or all year round. The next time you're hosting a backyard barbecue, light the way with these mini luminaries by Inspired by Family. Old baby food jars gain new life with a thin coat of food-colored Elmer’s glue in bright hues. Don’t discard the lids! They’re essential for getting the color mixture to shake along the inside of the jars. Once dried, the jars are ready for hanging with thin, twisted wire. 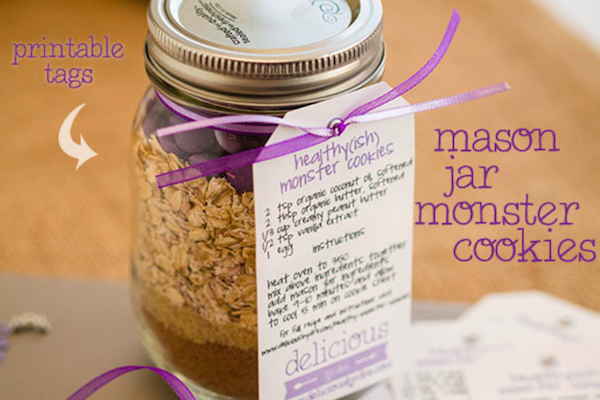 This idea for mason jar cookie mix by Delicious by Dre has lifesaver written all over it. Housewarming gift? Dinner party thank-you? Dre makes it even easier by including a printable recipe for healthy(ish) monster cookies. All you need is a mason jar and basic baking ingredients (you probably have on hand) to make a last-minute gift. You have no excuse to arrive empty handed. 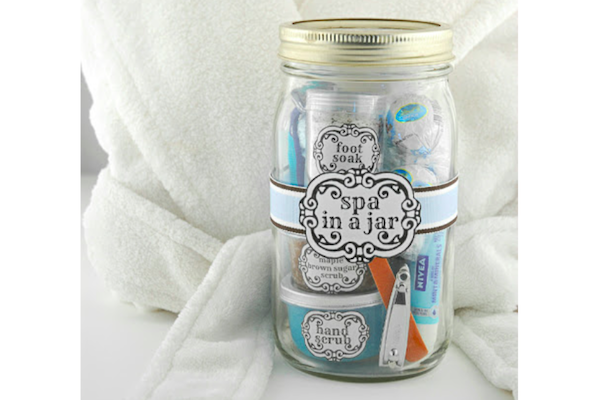 The Gunny Sack has yet another brilliant in-a-jar idea to take care of your extra mason jars — DIY at-home spa. Having a spa day at home is only easy if you have all of the pieces in one place: the scrubs, soaps, salts and candles, plus a side of chocolate — all in one jar — makes this a great gift for giving and stashing an extra for yourself.